According to the latest survey of the Public Opinion Programme of the University of Hong Kong (HKU POP), Chris Patten, the last British Governor of Hong Kong, enjoyed the highest ratings among political leaders of the city in the past 24 years. 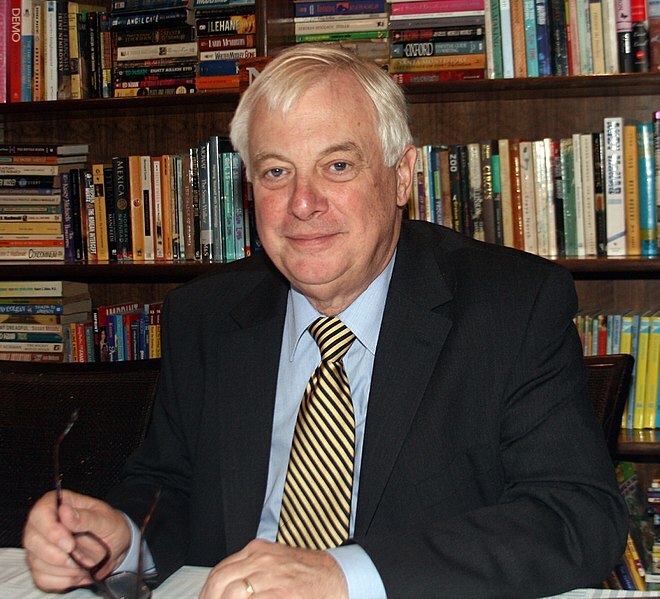 Chris Patten was a member of the British Parliament with the Conservative Party from 1979 until 1992, when he lost his Bath seat at the general election (Chris Patten: East and West. Pan McMillan 2012, p. 13). British Prime Minister John Major offered him the post of Governor of Hong Kong. Patten's term of office as Governor lasted until 30 June 1997, when Hong Kong was handed over to the People's Republic of China. The POP survey, released on March 29, shows that upon assuming office Chris Patten's rating was approximately 55% and at the end of his term in June 1997 it was 60%. After the handover and the establishment of the Hong Kong Special Administrative Region (HKSAR). the office of the Governor was replaced by that of the Chief Executive. From 1997 to the present Hong Kong has had three Chief Executives: Tung Chee-hwa (董建華, 1997-2005), Donald Tsang (曾蔭權, 2005-2012) and Leung Chun-ying (梁振英, 2012-present). The POP survey shows that the ratings of all three Chief Executives upon assuming office were either the same or higher than Chris Patten's: Tung Chee-hwa 65%, Donald Tsang 73% and Leung Chun-ying 53%. However, their ratings declined during their term of office: Tung Chee-hwa 48%, Donald Tsang 39% and Leung Chun-ying 39%.